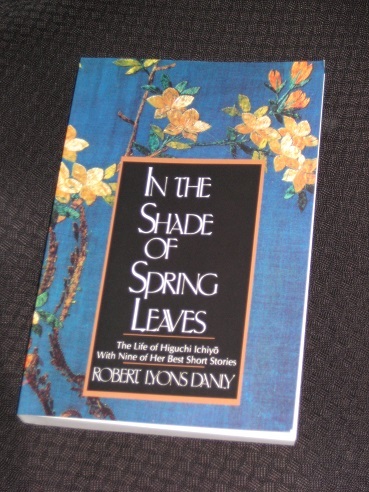 In my previous post, I looked at In the Shade of Spring Leaves, Robert Lyons Danly’s biography of the Meiji writer Ichiyō Higuchi, but as I mentioned at the time, there’s far more to the book than just the story of the author’s life. Danly also selected nine stories from throughout the writer’s career and presented them in his own translations. There was no space to look at the fiction in that post, but today it’s time to examine these stories – and find out why Higuchi is still revered more than a century after her death. Higuchi’s career was sadly brief, spanning just over four years between her first publications in 1892 and her death in 1896, and In the Shade of Spring Leaves brings together a number of pieces representing both the ‘early’ (1892-1894) and ‘late’ (1895-1896) periods of her work. 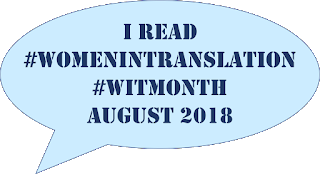 Danly’s translations attempt to capture both the vibrancy of her imagery and the complexity of her writing, and he also goes to great lengths to annotate the stories for the novice reader. This is necessary not only because of the unfamiliarity of the time and setting, but also due to the density of classical allusions. When I tell you that the first, seven-page story, ‘Flowers at Dusk’, has more than four pages of notes, you’ll see what I mean. The first few pieces come from Higuchi’s early career, and are simple sketches, marked more by poignancy and atmosphere than any real plot development. ‘Flowers at Dusk’ is a touching look at unrequited love, in which a young girl withers away when she feels her affections will never be reciprocated, while in ‘A Snowy Day’, a woman looks back at a crucial turning point in her life, reminded of the fateful day by the snow falling lightly outside. Even slighter is ‘The Sound of the Koto’, which has a homeless youth given the strength to go on with his life after hearing the melancholy sound of a koto instrument on a dark night. The notion that life can be lived without rancor or regret is an illusion only love leads us to believe. How frightening is the mind of a woman with a broken heart! You see, the scorned woman harbours plans of revenge, and there’ll be more than one twist before this tale comes to a close. The young man in this story is just one representative of the writer’s cast of unfortunates, with several of the selected pieces focusing on the contrast between rich and poor. ‘On the Last Day of the Year’ sees a hard-working maid thwarted in her request to borrow money from her employers after the visit of the wasteful eldest son, who has his own plans for the money. Meanwhile, in ‘Separate Ways’, a poor young man is left disillusioned after a woman who has shown him kindness moves on, putting comfort above principles in an attempt to improve her life. Of course, it’s the stories set in the pleasure quarters of Yoshiwara that Higuchi is best known for. The main character in ‘Troubled Waters’ is the beautiful geisha Oriki, who can’t help confessing her woes to a handsome customer. Her former lover Genshichi has abandoned her to marry another woman, leaving her empty inside. Little does she know that he’s also regretting his decision, unable to move on. Both are sinking fast, and given the sombre tone of the piece, it’s unsurprising that it all comes to a tragic climax. However, the longest, and best, of Higuchi’s stories is ‘Child’s Play’ (also translated by Edward Seidensticker as ‘Growing Up’ in the Modern Japanese Literature anthology). This one follows a group of children growing up in and around the Yoshiwara red-light district, with a focus on three characters in particular: Nobuyuki, the priest’s son; Shōta, a younger boy living with his grandmother, a wealthy moneylender; and Midori, a young beauty whose sister is a geisha. The story focuses on the experiences of these younger residents of the quarter, describing their youthful rivalries, hopeful romances and, above all, their dashed hopes. Midori had no notion of what price Ōmaki might have paid to reign supreme in her profession. To her it was all a game. She knew about the charms and tricks the girls would use. Simpering to summon men they longed for, like mice grabbing cheese. Tapping on the lattice when they made a wish. She knew the secret signals they would use to give their guests a parting pat. She had mastered the special language of the quarter, and she didn’t feel the least embarrassed when she used it.